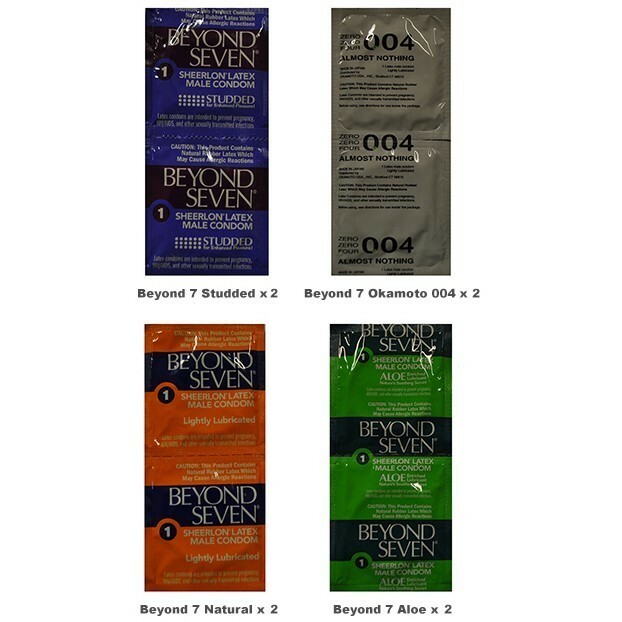 Did you know that Beyond Seven is the fourth largest condom brand in the world? They have to be going something very right to be in the number four position. Remember, this is world-wide and not just in the UK. 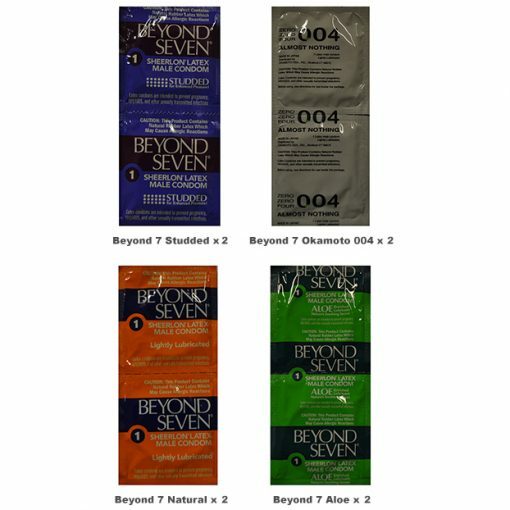 All Condom has a special Beyond Seven Trial Pack that gives you the opportunity to try these famous condoms without having to purchase an entire box. Just in case you went crazy for a certain one, this trial pack has two of each! 2 x Beyond Seven Studded Condom – These are specially designed for when you want to kick it up a notch in the bedroom. They’re thinner, softer and stronger for maximum sensation. 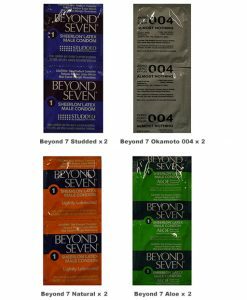 2 x Beyond Seven Okamoto 0.04 Condom – While, Japanese condoms are known for their ability to be ultrathin without compromising on strength and durability, the Okamoto 004 (Zero Zero Four) pushes all pleasure boundaries. It’s rumored to be the very best thinnest condom available. 2 x Beyond Seven Natural Condom – These condoms are made of Sheerlon®, an advanced material so strong and durable, it can be made much thinner than an ordinary latex rubber condom. They have a silkier, more natural feel, much like skin itself. 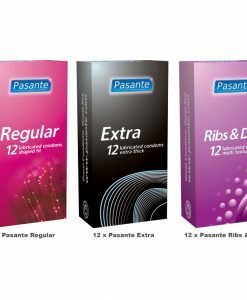 2 x Beyond Seven Aloe Condom – Four times as much lubricant is used than regular condoms and the natural aloe extract delivers maximum female comfort and the smoothest feeling possible.